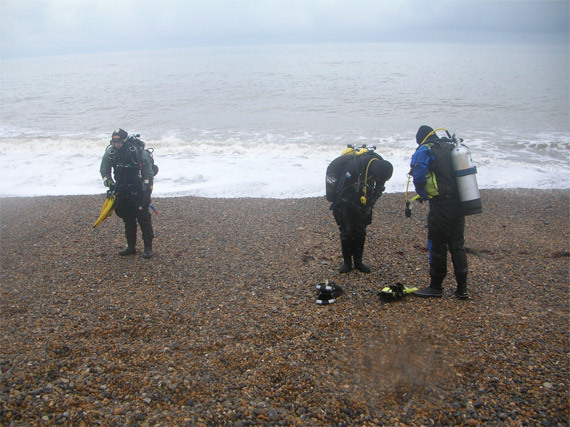 The exposed and desolate beaches of north Norfolk draw birdwatchers aplenty but are less well frequented by UK divers. After a personal relocation to Buckinghamshire, this coastline is probably now my nearest bit of ocean, being just a two to three hour drive away. Newly assimilated into my local dive club, who had also had their eye on Norfolk for a while, we were on. Dive base was an expansive town house in Sheringham, which is a small seaside town that one imagines has changed little since the 1950s. Just to the west lie two WW1-era wrecks in less than ten metres of water. The dive sites have one great advantage: the wrecks are a short swim from the beach and visible at low tide. 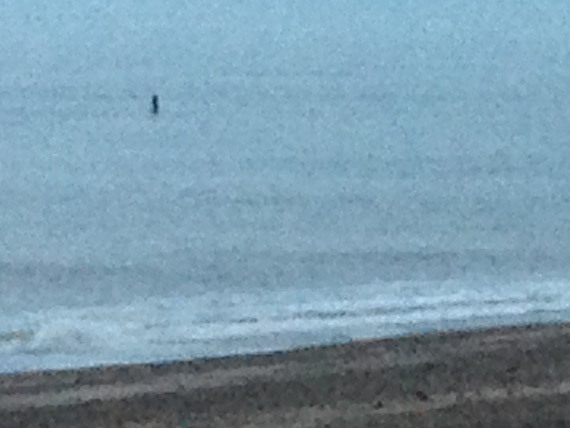 Arriving at 6.30am on the Saturday for a reccy of our first site near Cley Next-the-Sea revealed what looked like a U-Boat periscope sticking perhaps a metre or more above the water. This is the SS Vera, which collided with a minesweeper during a coal run in November 1914 and was run onto the beach, where she remains today. 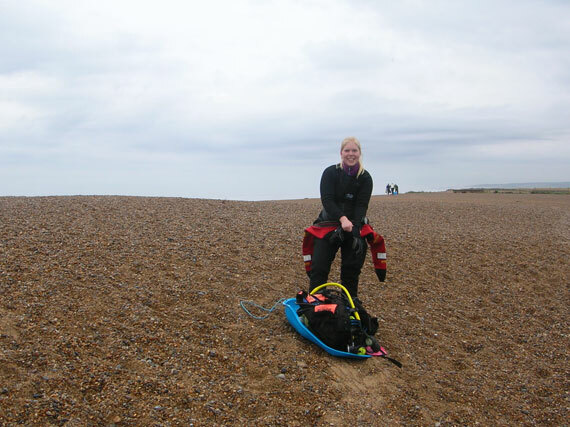 A century of storms have taken their toll, and being so close to the shore, we were warned to expect a truly splattered ‘splat wreck.’ Research indicated also that the north Norfolk coast is notorious for currents, difficult sea states and poor visibility. The plan mentioned that it’s a good idea to buoy this wreck at low tide, then come back at high water slack. We neglected to do this, fully expecting wreckage to still be visible, on what was the neapiest neap of the year weekend. Somewhat perturbing then to find the wreck had disappeared beneath the waves when we returned – hmm, a calculation error somewhere. Nevertheless we were confident we could find it again and to everyone’s credit, not a single attending member of MKSAC was put off. 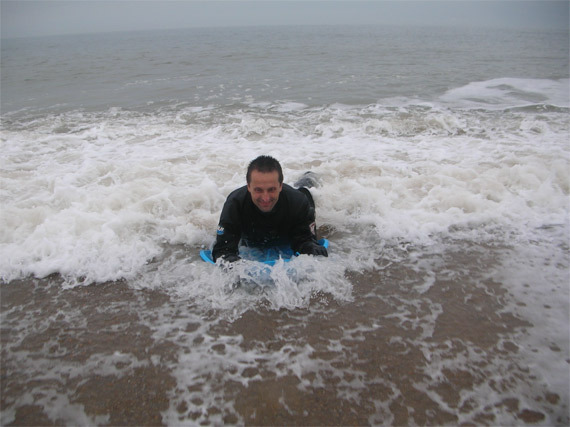 We enthusiastically geared up ready to splash in at the nearest point for the short swim out. Unfortunately there was still a current running west-east, making the surface swim nigh on impossible. Despite our best efforts, each buddy pair entered the water and drifted steadily downstream and away from the target. Add in a sea the colour and consistency of a bedtime cocoa drink, this quickly became an exercise in safe beach recovery and little else. Day two dawned and we were parked slightly to the east of yesterday’s site at a place called Weybourne. Here the beach is much steeper, the SS Rosalie wreck further from the car park, as well as further out to sea – approximately 150 metres. Again, we could see metal sticking out of the water as well as the permanent buoy. 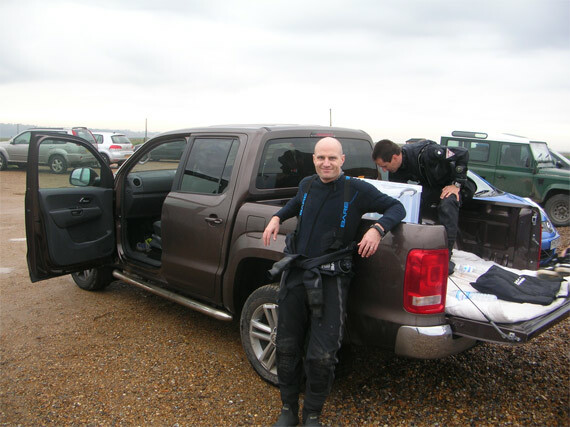 Myself and Paul F geared up and managed a careful entry – timing is everything, you need to go! Go! Go! in between large breakers. The swim was longer but we made it to the wreckage, paused for breath and began our descent. Frankly we needn’t have bothered – I pulled myself down the line from the turbulent waters above and straight into a washing machine at 6 metres. Despite a high power torch and backlit LED computer, this was totally forensic stuff. 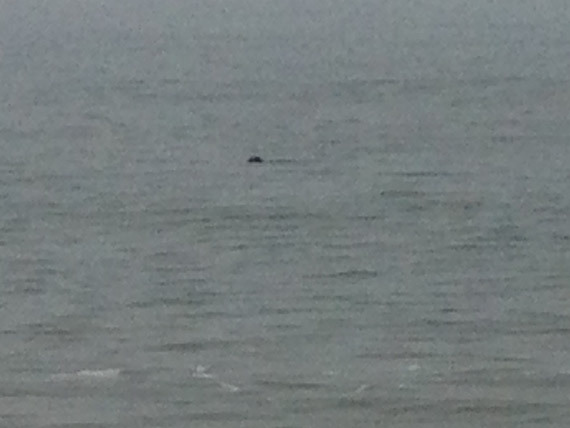 I just about managed to grab Paul through the murk, signalled the ‘f-this?’ question and got an affirmative response. Maybe it’s an age thing, but neither of us had the stomach to persist with a fingertip search dive that day. Back on dry land the heavens opened, making the de-kit a hurried affair and seeming to sum up our failure. 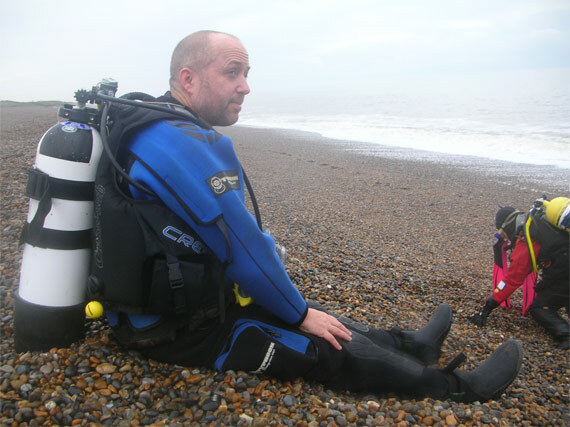 But wet divers always dry out in the end, and reflects on our trip in a warm pub were suitably stoical. Both wrecks looked interesting enough on paper, and with flat calm conditions and some visibility would’ve been worth exploring. 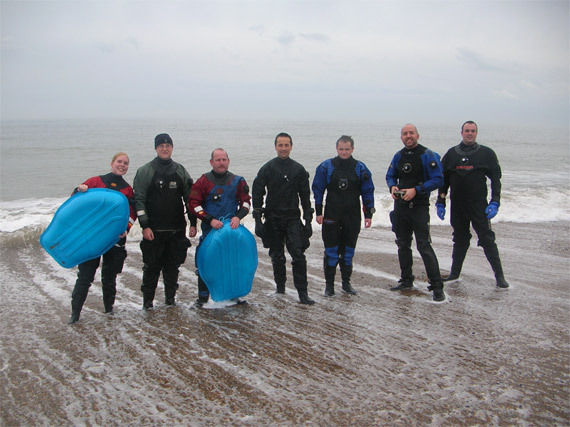 It was fun getting wet with the new BSAC club. But my advice for anyone trying to dive in this particularly shallow and exposed area would be pick your weekend carefully.